Hot Dip Galvanizing is widely regarded as one of the most effective methods of corrosion protection for steel and the most popular protective process for all external steelwork. The principal reason for this is a combination of cost effectiveness and the extended life expectancy provided by effective corrosion protection. Hot Dip Galvanizing is unique, tough, long lasting and covers both internal and external surfaces which offers extended lifetime expectancy. We currently have the largest Galvanizing bath in the country measuring 12m long x 2m wide x 3.2m deep. Operating in Drombanna just 5 minutes outside Limerick city we are Hot Dip Galvanizing Specialists and also offer a full range of support and follow up services to our customers. Many companies today are moving towards a more flexible and quality based approach to their galvanizing requirements and as specialists operating to the galvanizing standard BS EN ISO 1461 we can offer you a range of interesting and cost effective options. 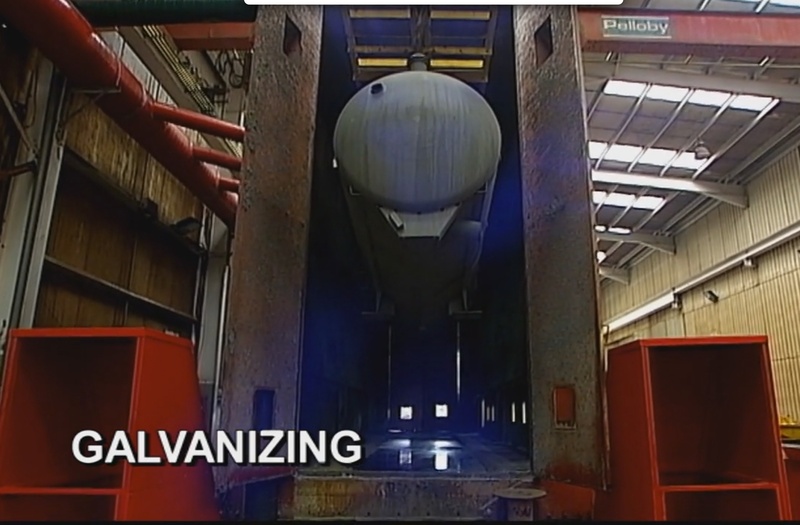 Our Hot Dip Galvanizing process consists of a number of separate but equally important stages.